SolarMax has residential and commercial solar solutions that are customized to suit your usage needs and maximize savings. As energy prices rise, home and business owners need to find ways to lower their energy costs and also hedge against future increases. SolarMax Technology’s Menifee solar panels help you do both. The savings will start the very first month, and you won’t have to worry every time the power company changes their rates. Since 2008, SolarMax has become a leader in the solar industry, and we’ve provided many industry firsts— including being the first California solar installer to offer in-house financing, as well as the first to design, engineer, and assemble our own solar panels. All the work is done in our 165,000 square foot facility, allowing us to monitor each phase of the process for adherence to our strict quality control standards. SolarMax has installed Menifee solar panels on small homes and businesses, and we’ve completed huge commercial projects involving thousands of solar panels. No matter your energy needs, we can design a custom Menifee solar power system to meet them—and to maximize your savings. Your Goals: Do you want to begin enjoying monthly savings right away, or are you looking at your Menifee solar power installation as a long-term investment? Either way, we have financing options to help you achieve your goals. Energy Consumption: We’ll review 12 months of energy usage in detail, including the amounts used and your peak usage times, to accurately estimate your future needs. Property Inspection: We’ll look at your roof, identify any shading issues, and inspect your existing electrical panel. Solar Savings Analysis: Based on the information collected, we’ll determine the ideal size for your solar system and calculate your potential savings. Financing Options: You’ll learn about the benefits of each of our financing options, such as PACE, PPA, leasing, and our flexible in-house options. Design: A solar specialist from our team will determine the optimal configuration for the Menifee solar panel installers to place the panels. Formal Proposal: The proposal will include the cost and terms of your solar panels as well as the details of your selected financing method, if applicable. 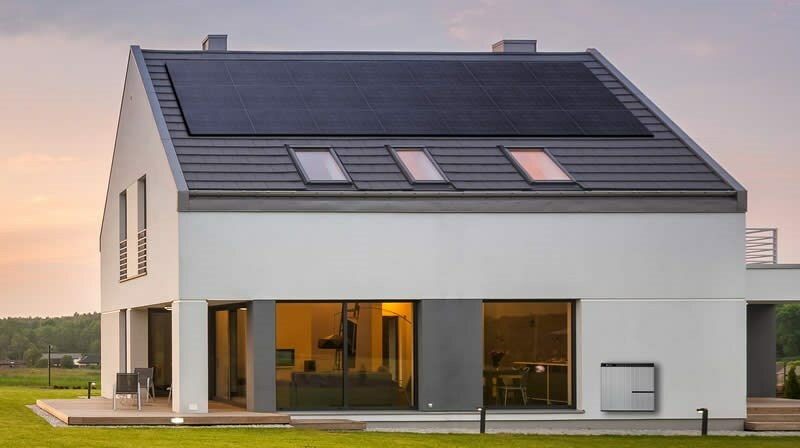 Whether you need 20 solar panels or 2,000, our team of solar installation experts will design the system that is just right for your home or business. SolarMax will guide you through the process so you can make informed decisions about your investment in Menifee solar panels. Call SolarMax today to speak with a member of our team, or fill out our online form now to schedule a free consultation for your home or business.